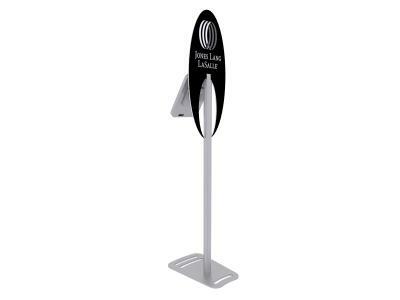 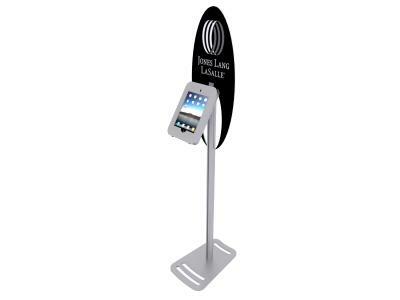 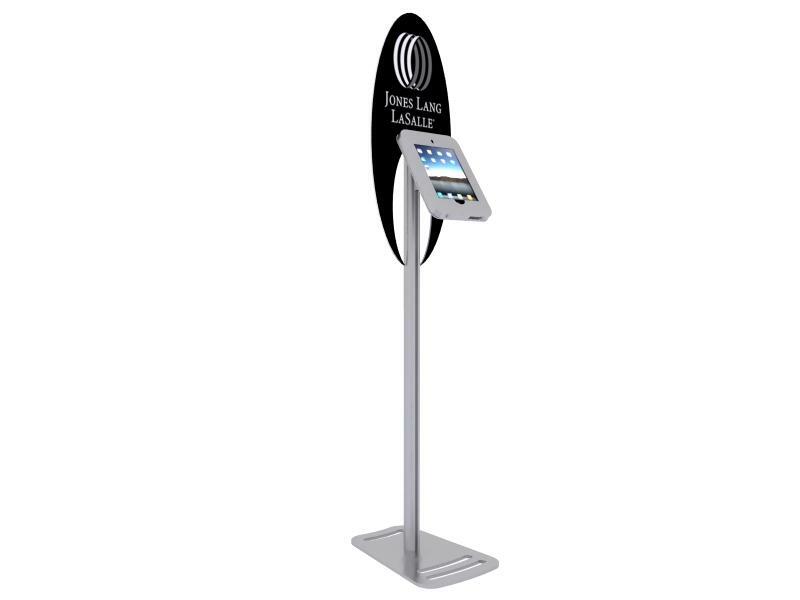 MOD-1368 iPad Kiosk: The Port Land iPad Kiosks™ are innovative, lightweight, and affordable. 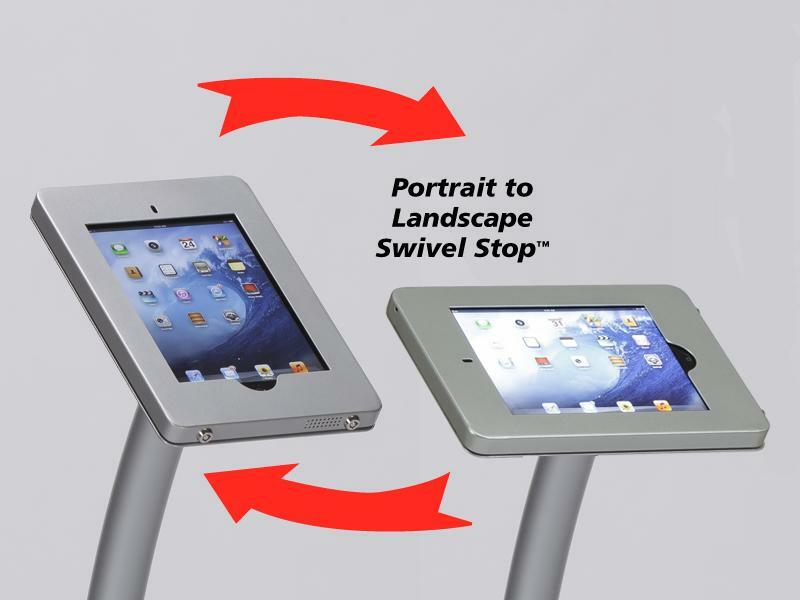 The locking clamshell frame rotates with the unique Swivel Stop™ feature, allowing you to seamlessly reposition your iPad to Portrait or Landscape mode. 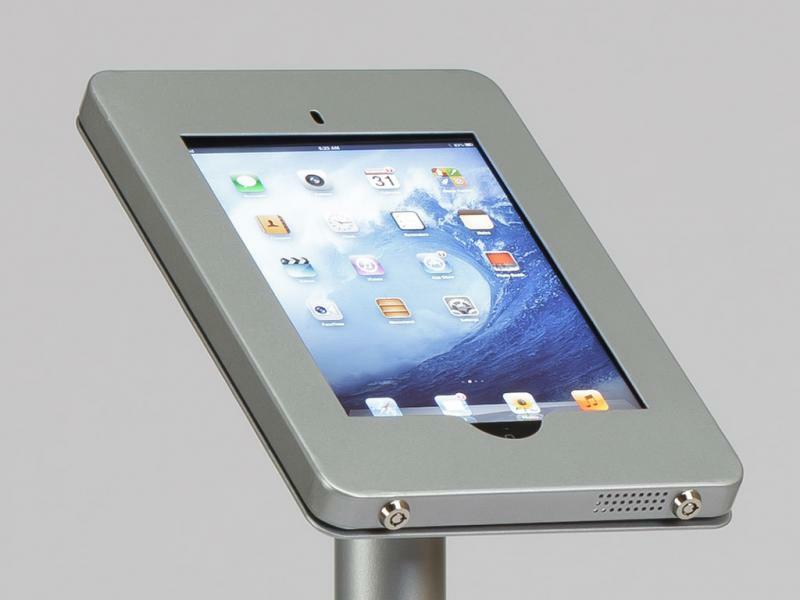 The kiosks are made from durable engineered aluminum and assembly in minutes. There are multiple single iPad kiosks. 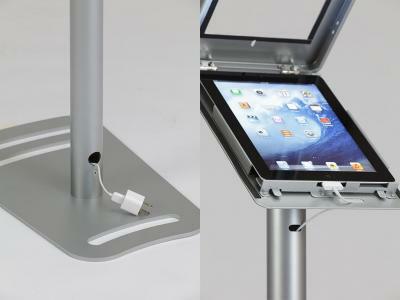 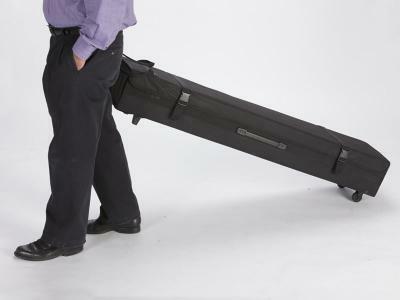 The MOD-1334 is designed for two iPads and the MOD-1338 for four iPads. All have integrated cord management.